The big platters were the last of the last glaze cycle. They were too big to fit with the King’s Cup bowls, so they got to fire on their own. The big green one is a prototypte for a birdbath. It ended up warping a bit. I stilted it because the bottom is fully glazed. Next time, I’ll give it more support all the way around. Still, it should work as a small birdbath. The big brown platter worked nicely and should be great for serving rolls or other big items. 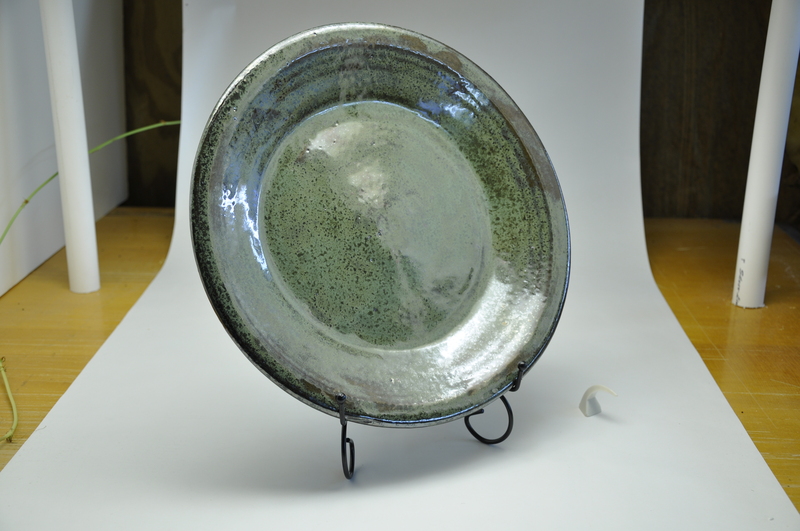 The glaze worked well, and made some nice buttery areas. So, now I can get back to throwing some things. Lots of ideas and requests, like a chicken roaster. It’s been a while since I made one, so maybe it’s time again. And more butter dishes. And mugs. And a giant bowl or bigger birdbath. And that’s why it’s fun to make this stuff. Cheers!